Every time I stroll through the most populated streets of Boston there’s bound to be at least one sales rep shoving a flyer into my hand, which I will indeed throw away once the next trashcan appears in my vicinity. This form of literally in-your-face advertising is beyond obnoxious. I’d bet that a lot of internet users feel the same hatred towards pop-up ads or banners that flash through and wrap around the pages of content they’re trying to read. Bing is here to relieve that frustration with Bing Native Ads, which was announced in Beta as of Monday, July 20. Bing Native Ads initially launches only in the U.S. on MSN, a long-time trusted publisher and partner of Bing, which had approximately 1.6 billion visits globally in June according to SimilarWeb. Bing Native Ads take the obvious interruption out of online ads so the ad appears to be part of the content itself. Check out the example below of the Zappos text ad subtly engrossed in the article. Bing will determine which image or text ad to show based on the experience and placement on the page where the ad will appear. How Will Bing Determine Who These Ads Are Shown To? Bing’s main goal is to “expand the reach of the Bing Ads platform to target user intent even outside of search,” says Raj Kapoor, Senior Director of Mobile & Local Search at Bing. One of the main goals for these new ad formats is to ensure they are appearing for the correct user intent. So how will Bing align these ads with user intent? Their algorithms will consider past search history, contextual signals and past actions previously taken on websites. “The program facilitates the same level of targeting that is available for search ads: location, device type, time of day, day of week and site remarketing,” says Marketing Land reporter Ginny Marvin. After hearing from the Bing team directly this one takeaway was clear. Why? Because Bing Native Ads will be married with Bing search campaigns. Yikes! But, there’s no need to panic. After learning more I don’t believe Bing Native Ads is going to be like the old days when advertisers would combine their search and display campaigns only to find that their entire budget was eaten up by display with low CTR’s and no return. So, how are things different? First off, the only site these ads will be displayed on is MSN as of now. Of course Bing plans to expand, but only to high quality publishers, according to Raj. Raj also confirmed that Bing is going to be very deliberate in the amount of volume these ads take from search campaigns. “Volume won’t be a risk in native ads becoming a dominator over search,” he confirmed. Phew. 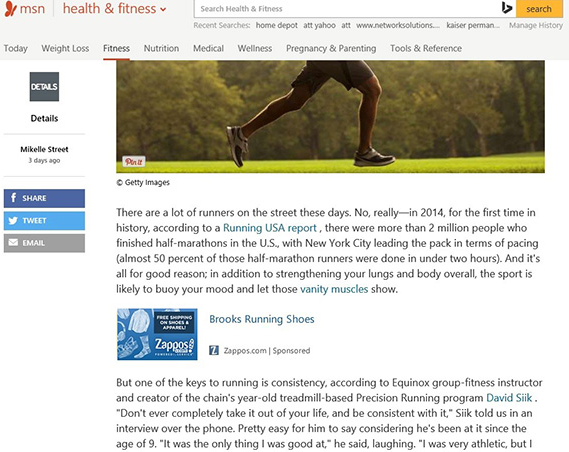 Why is Bing Combining Search and Native Ads Management? Bing is marrying search and native ads together to fulfill their last goal: “ease of use.” Bing wants to ensure the setup and maintenance experience is as easy as possible for the advertiser by integrating these ads into their standard Bing Ads workflow. “The end goal is conversions. 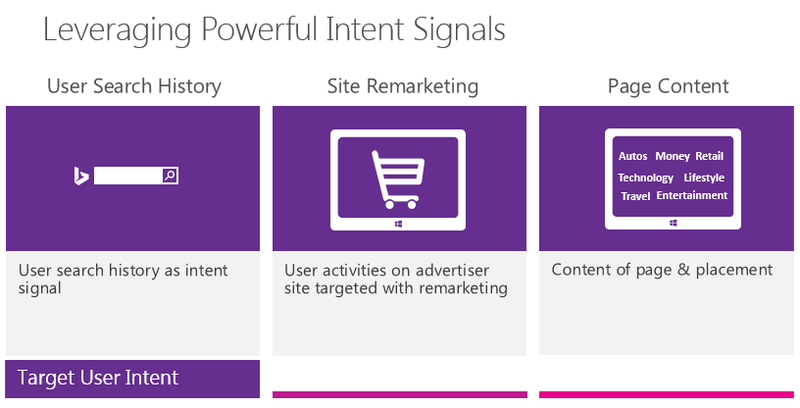 Bing Native Ads is broadening the surface area opportunity for these conversions,” explains Raj. Keywords used in search also play a factor in how and where ads will appear on MSN. What Control Does the Advertiser Have? Well not much. The limited control which the advertiser does have comes with bid adjustment. Advertisers are able to exclude these ads completely (-100%) or increase bids for these ads by up to +900%. Reporting will be integrated into the regular Bing reports, but with an option to segment search ads vs. native ads to provide “complete transparency while using the same familiar reports,” says Raj. Are you interested in trying these ads out? Reach out to Bing as they plan to expand the Beta to more advertisers this August.